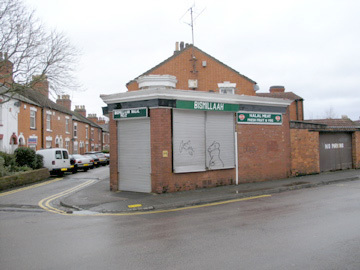 Newsagents were familiar enough in the 20th century, but when did they start up and who was the first in Wolverton? It may not be easy to answer that a question. 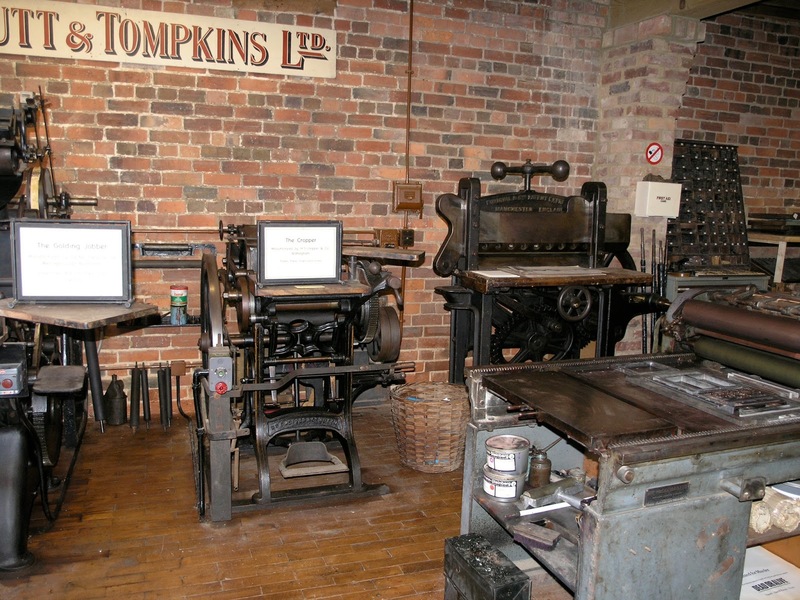 Certainly newspapers were available from Wolverton’s beginnings. London newspapers were only a few hours away by train. There were newspapers at the Reading Room in the 1840s. I saw a letter written by the vicar, George Weight, complaining that men were reading “that vile newspaper” the Sunday Dispatch. Presumably someone took on the responsibility for the sale and distribution of newspapers in Wolverton and Stony Stratford. 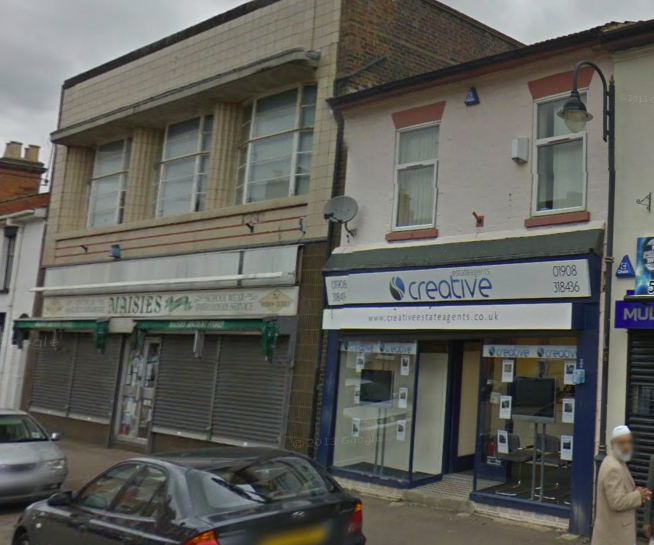 The best guess is that newspaper sales and distribution in Wolverton was a sideline or part time business. Possibly an existing business or individual took on the role but no one in the Trade Directories specifies themselves as such until Harry Cornelius Muscutt styles himself as a Newsagent in 1899. 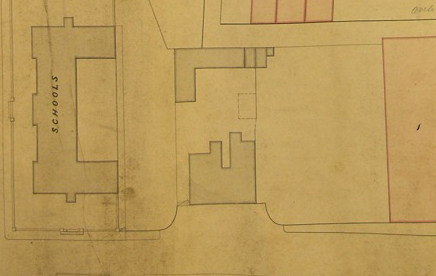 Muscutt was a boot and shoe maker who had a lock up shop just beside the Royal Engineer – Number 2. He was from a family of shoe makers from Long Buckby. 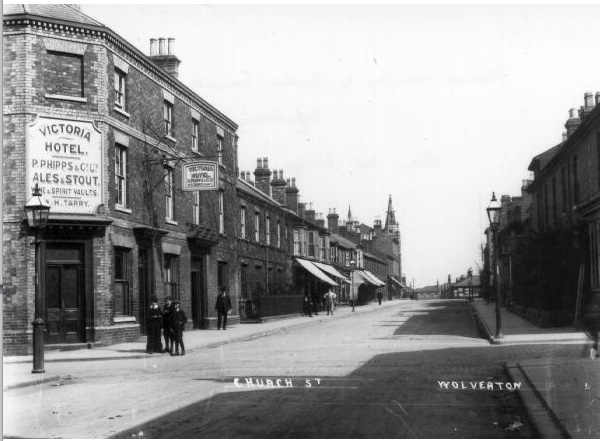 He came to Wolverton at about the age of 20 and lodged in Young Street. 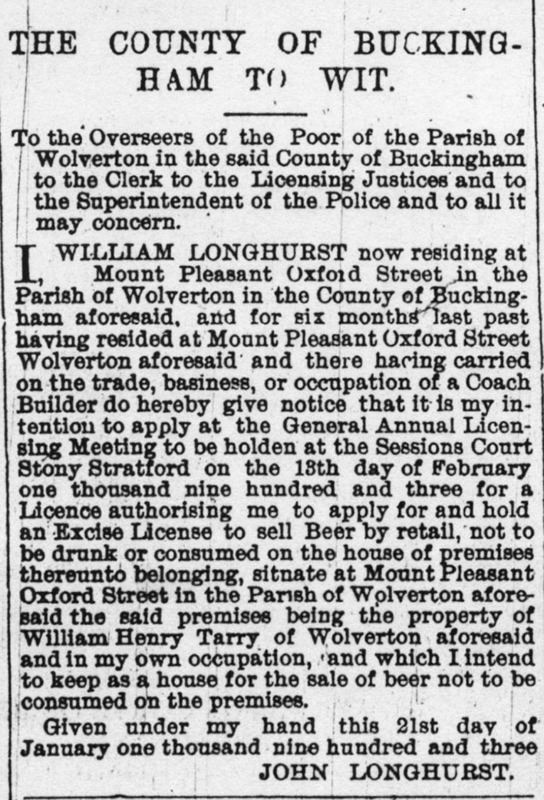 After he married he lived in Aylesbury Street and may have had his business premises in Church Street. The boot and shoe business was changing in the last part of the 19th century. Cheaper ready made shoes from Northampton factories had been putting shoemakers out of business for some years and gradually the shoemaker was becoming a shoe repairer. It is probable that he was already acting as a newsagent in the 1890s but, as the decade wore on and at the end of the century that the newsagent business became big enough to become the main enterprise. New, popular newspapers were being established in this period. The Daily Mail was founded in 1896 and was joined by the Daily Express in 1900 and the Daily Mirror in 1903. 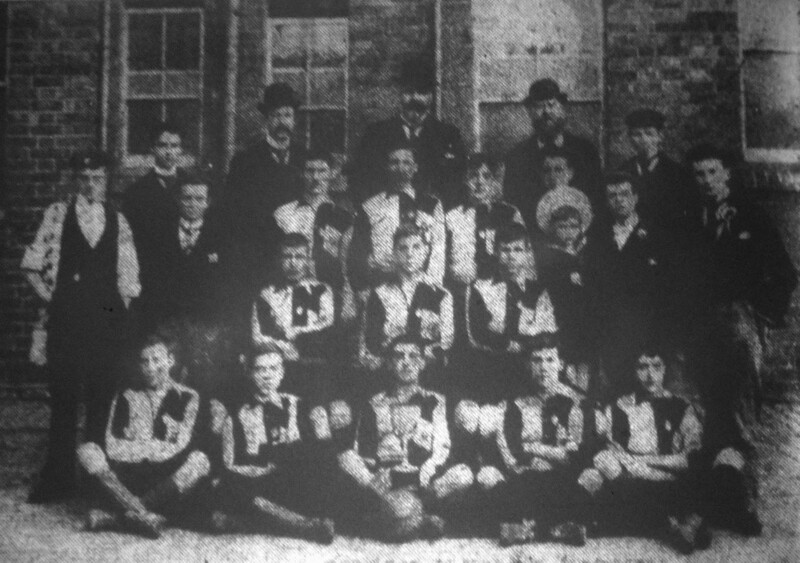 The Bucks Standard, or Croydon’s Weekly Standard as it was originally known, was produced in Newport Pagnell in 1859 and was joined by the Wolverton Express in 1900. The appetite for news was growing and with a high level of literacy in Wolverton demand must have been high. So Harry Muscutt probably found himself in the right place at the right time. His shop, just opposite the main works gates, was ideally located for the workers to pick up their daily reading material. I can recall from the 1950s the number of early morning bodies milling around the Stratford Road and spilling into the shop for a newspaper and packet of Woodbines. Muscutt and Tompkins, as it then was, required a staff of five to handle the rush. Harry Muscutt and his wife had two daughters. One of them, Ida, married Bill Tompkins from New Bradwell. The other, Florence, married a Clarke from Castlethorpe. He was a seed merchant and when the newsagent business moved to Number 5, the seed merchant established themselves at Number 2. 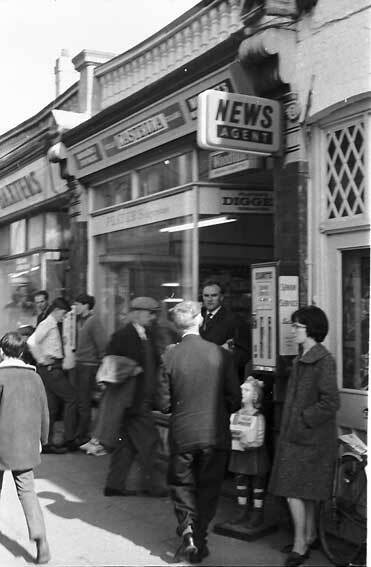 Muscutt and Tompkins newspaper shop in the 1960s. Bill Tompkins joined the business and added his name to the sign above the shop. It expanded and developed. 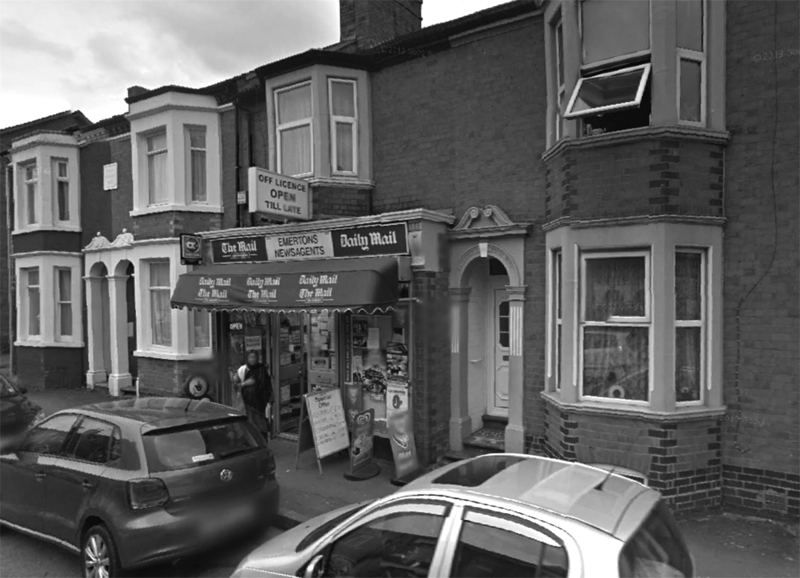 At one time they had a tobacconist’s shop at Number 3, the newsagents at Number 5 and a stationery shop in part of Number 9 – Number 9a. In addition they established a printing shop at the back of Number 3. The equipment has since been donated to the Milton Keynes Museum. 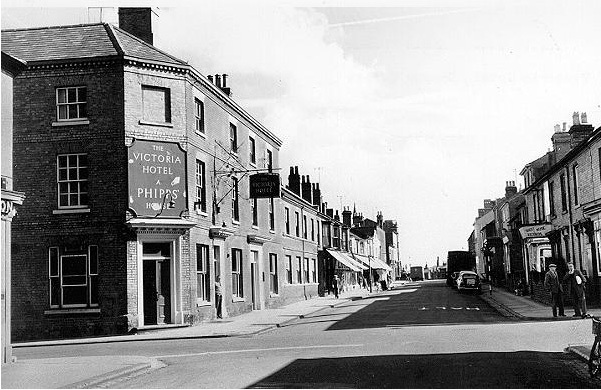 Bill Tompkins and his wife did not have any children and in the 1920s they brought in a young relative from Long Buckby, Reg Tomalin, to participate in the business. When Bill Tompkins retired Reg Tomalin took over the management of what was by that time a varied and extensive family business. Ralph Tompkins, Bill’s younger brother, joined the business in the 1930s and managed the newspaper shop. 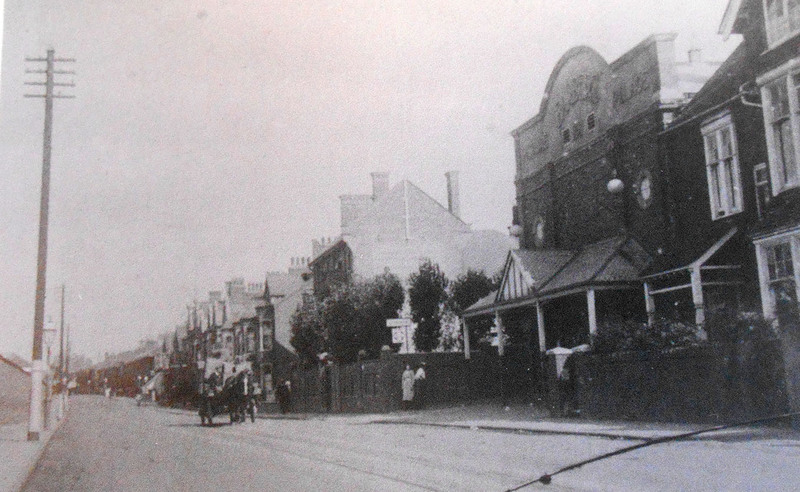 The shop at 9a, to the right of this picture, was Muscutt and Tompkins Stationery shop. 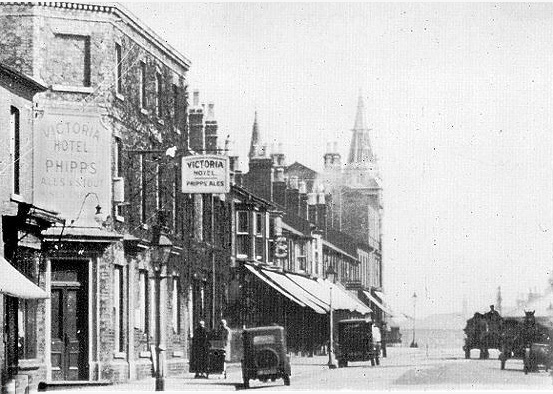 By the mid-century Muscutt and Tompkins was far and away the largest newsagents in the town and incorporated the subsidiary businesses mentioned above, but the time was ripe in the early 1900s for similar businesses to join Muscutt, and cater to Wolverton’s expanding population. In 1900 the Wolverton Express published the first of its weekly newspapers. 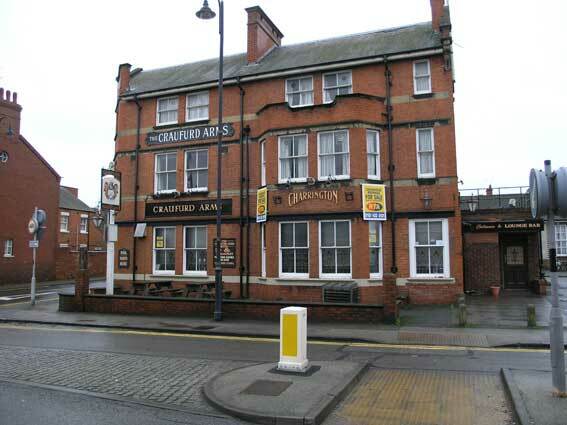 It was based at 103, Church street, although the paper was never printed there. It appears to have been the brainchild of Albert Edward Jones. He was born in Winchester in 1870 to a career army officer who came to Wolverton in 1890 as a Sergeant Instructor, presumably to drill the local militia. 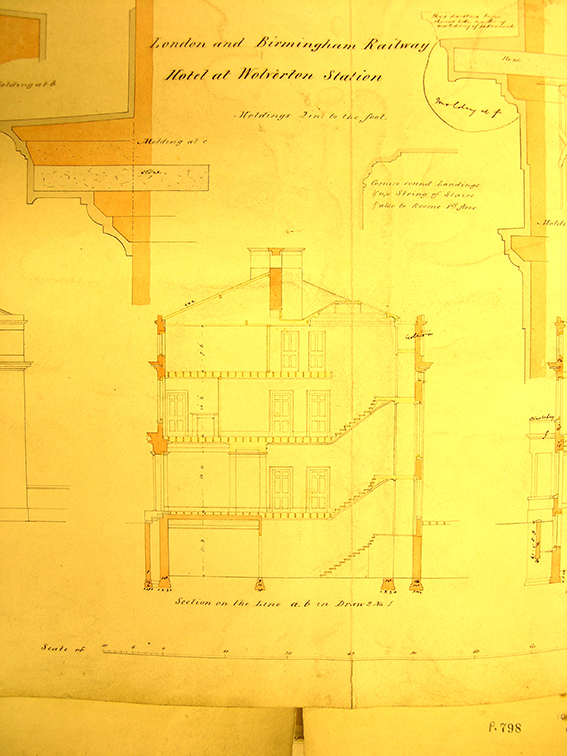 The family took up residence at Radcliffe Street. Albert Edward Jones, the eldest son, went into the works as a coach painter but by 1901 he was living on Church Street with his family and is listed as a “Bookseller and Shopkeeper”. 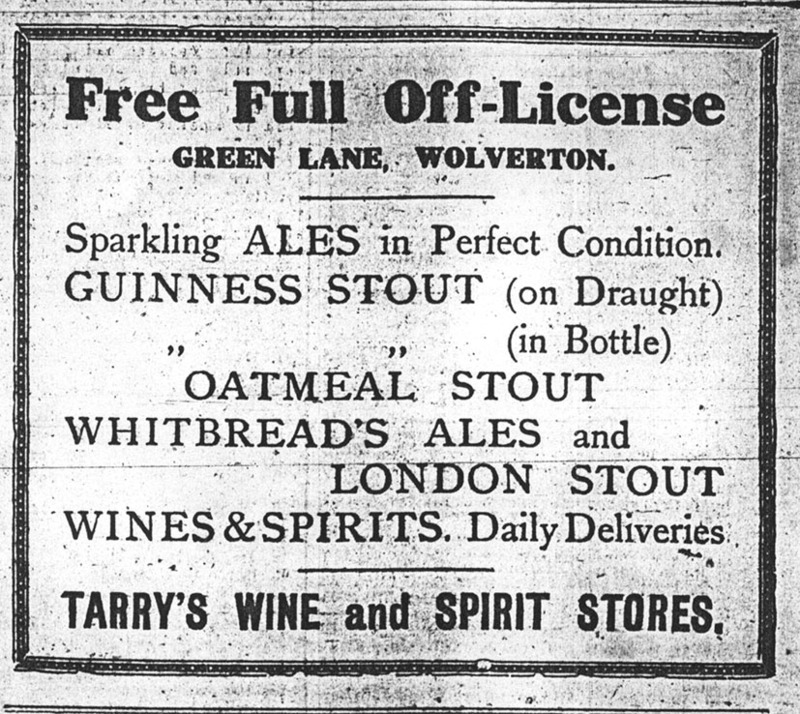 The Trade Directory of 1903 describes him as “manager Wolverton Express; newsagent & stationer and agent for the Aylesbury Brewery Company.” In 1907 he is described as “proprietor” of the Wolverton Express. On this basis it might be reasonable to assume that Jones originated the whole thing. The first 60 years of the 20th century were all prime years for the Wolverton Express. Almost everyone in the district had the paper delivered very Friday and it acquired the nickname, for reasons that are probably unknown, “The Buster.” The paper did not survive the succession of mergers and acquisitions from the 1980s onwards. I have the impression that the shop on Church Street, although selling newspapers, magazines, comic and books, relied on stationery goods for its main retail trade. It appeared to me, at any rate, to have the best range of notepaper, pens and so on. These two newsagents were joined by a third in about 1910. 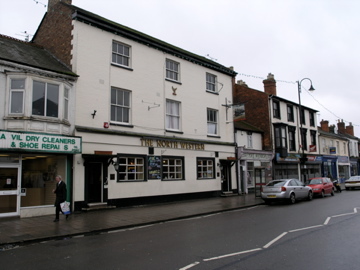 Walter Lawson, who had been associated with the boot and shoe industry in Kettering, decided to move his family to Wolverton and establish a news agency, which he did at 19 Church Street, in a shop which is now demolished. 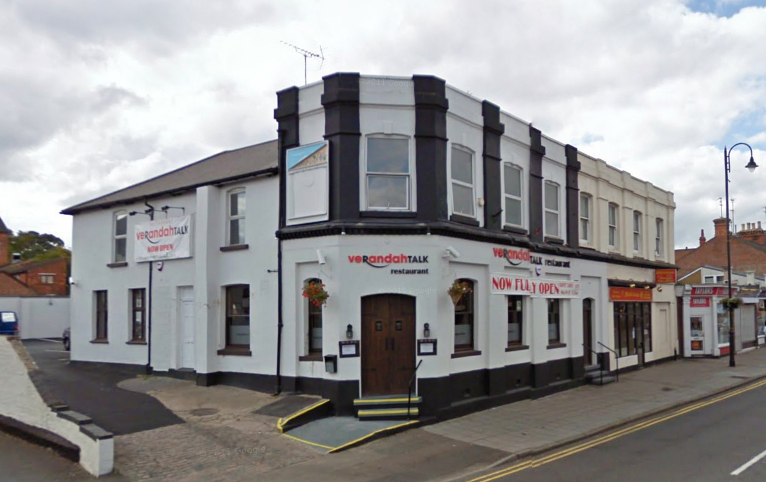 Shortly after he moved to 50 Church Street, now occupied by St Andrews Bookshop, and around 1920 to 58 Church Street. At this address it became known as Lawson and Son. Walter Lawson and his wife had four sons. The eldest, Horace, lost his life in battle in 1915. Two other brothers, Herbert and Cyril, seem to have gone off and done something else, and the youngest, Stuart, born in 1905, joined his father in the business and succeeded him until his own retirement around 1970. Stuart developed the business as a toy shop, which continuing to sell newspapers and magazine. Every Friday he would take toys down to the Friday Market to sell them from a regular stall. The newspaper business may have been the smaller part of the operation at this time. Stuart Lawson was a keen photographer and could often be seen walking around the area with a folding camera hanging from a strap around his neck. He was also a pipe smoker, and for some reason most likely unconnected, had an enlarged thumb, which was used to tamp down the tobacco. To this list I should probably add the sub post office at the corner of Anson Road and Aylesbury Street. They sold some newspapers but I don’t think they had a delivery service. The Sunday papers, probably for reasons connected with Sunday trading laws, were always sold separately from the main newsagents. This was a part-time, private activity. Yu could only have them delivered to your door, as far as I know, unless it was possible to go to the house of the distributor and buy a copy. At one time the distributor used the shed at the back of King’s the bakers to organise the rounds.